With deep experience in management consulting, executive search and organizational development, Ms. Kourtney Whitehead helps clients drive their business strategy by building high functioning HR teams. 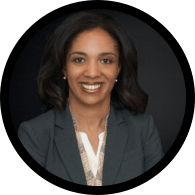 Before joining accelHRate, Ms. Whitehead served as a Principal in Korn Ferry’s HR Practice focused on CHRO and functional lead assignments for Fortune 500 companies in North America, Europe and Asia Pacific. She was also a member of Korn Ferry’s Diversity Advisory Group. Prior to joining Korn Ferry, Ms. Whitehead led the Critical Sourcing team for Booz Allen Hamilton. In this role she designed several of Booz Allen’s employee branding, social media and candidate intelligence methods and successfully deployed a team of highly skilled and specialized recruiters. Prior to joining Booz Allen, Ms. Whitehead worked with Spencer Stuart in their global Human Resource practice where she partnered to drive their client management and human resource search strategies. Earlier, Ms. Whitehead spent seven years with SRA International as the company transitioned from private to public. She was also involved in the integration of six acquisitions. Her last role was Director of Career Design and Development. This focused on resource planning, performance management and leadership development. She also served as the Chief of Staff to the CEO working on critical strategic projects in HR, Investor Relations, and Corporate Development. During this time, she worked with Wharton Executive Education to design and deliver development sessions for SRA’s high potential executive leaders. Ms. Whitehead holds a bachelor’s degree in political science from Virginia Union University and a master’s degree in human resource development from George Washington University. She currently serves on the Board of the Children’s Environment Health Network and Chairs the Education Committee for Northern Virginia Community Foundation’s (NVCF) Future Fund. She resides in Prince William County, Virginia with her husband and two sons.